Kelly's Old Timers is Western New York's oldest round and square dance band. We specialize in old time American Dance Standards and Jazz numbers from the 1920's through the 1950's, Eastern Style Square Dances and entertainment for the more seasoned listener. As we add to the web site you will find links for our music clips and photos from the past. Our upcoming events page has the information for scheduled concerts and dances. I will be adding to the site from time to time. I hope you enjoy looking over the KOT web site. 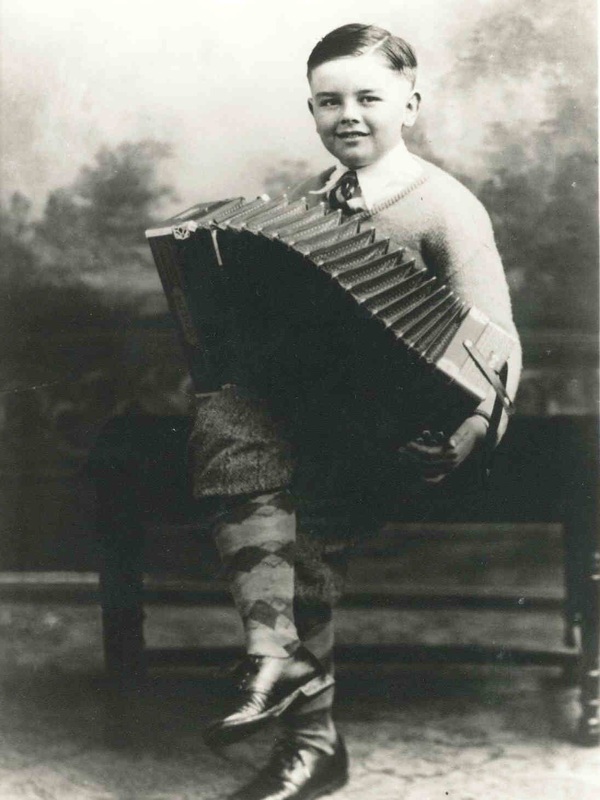 Woody Kelly started playing the accordion at around 7 or 8 years old. He played for local parties and shows. In the early 1930's he did a radio talent show for "Pie Plant Pete and Bashful Harmonica Joe" on WHAM Radio in Rochester. In 1939 or 1940 he joined Elmer Brewer's "Checker Boys". They were one of the first groups in the area to offer the Eastern Style Square Dancing that was becoming the new trend. Friday nights the Checker Boys played on WBTA radio in Batavia and provided the music for the Ralston Purina Music Hour. They offered a good program of dance numbers and Ken Lowe, their caller, knew all the latest singing square dances calls as well as many of the older reels and "Parlor Dances". Woody played accordion, Elmer Brewer the violin, Keith Morgan played bass and Lynn Rowley played guitar or banjo. They were very popular around the area and were in demand throughout the WWII years and into the 1950's. After the Checkerboy's came the Ex-Cheks, Roger Kelly's Swingsters, groups that featured Sandy Consiglio on accordion or Edward Kalisz on accordion or violin. Jim Kruppner was also calling the eastern style dances. There was a lot of work for good musicians who wanted to play. Some bands did the square dances, others did not. 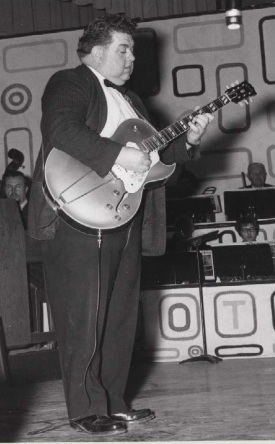 About 1950 Woody wanted to get his own program of music and dances together, so he and Roger, Keith Morgan and John "Curly" Myers started playing as Kelly's Old Timers. Woody did the calling and Bill Loop from Castile was vocalist and rhythm guitar. KOT was very popular through the 1950's and 60's. Many fine musicians played through the years. I feel the need to mention some who played over the years; Ralph Fuller, Del Sylor, Les Simpson, Bernie Simpson, Judy Koerner Foote, George Pawlak, Leo Ziolkowski and Don Wehner. About 1979 or 80 Woody's failing health required things to slow down. In May of 1982 he died of heart failure while on vacation with Ralph Fuller at their camp in the Adirondacks. In the 1980's and 90's demand for the group stepped up. Roger got Sandy Consiglio to play accordion, Eric or Doug Kelly played bass and Ken Lowe called the square dances and kept things going. In the late 1990's a traffic accident injured Sandy Consiglio and ended his playing with the group. That made another big change for the band. It ended the Accordion era. Eric Kelly took over on the keyboard and Guy Macaluso came on board playing trumpet, guitar and bass as needed. The trumpet adds a new voice to the band. It's a jazzier sound and an occasional Dixieland tune has been known to get the most arthritic toes tapping. Helping from time to time on guitar is Peter "Al" Mastrolio. Our regular drummer is Tom Kweicien. If we have a percussion break down, either Keith Kruppner or Brent Stothers helps out on the drums. Doug and Eric Kelly sing and call the dances. From time to time you will find Doug Kelly Jr. playing bass or singer Elise Kelly providing some rhythm guitar and vocals. ​Roger Kelly passed away in 2015. That old Gibson Golden Anniversary guitar is now silent. It's tone was as distinct and unique as the one who picked the strings. Guy Macaluso has worked extensively with Roger and has been assuming guitar duties on a new re-issue Golden Gibson. Guy does not disappoint. We are not and never have been a country band. We try to do a little bit of everything while concentrating on what is called American Standard Music. A variety of music that is easy to dance to.